It may be alloyed with many different metals, including brass, bronze, aluminum, steel, silver and nickel, to improve its strength and hardness properties if necessary. Copper spun products have smooth exterior and interior surfaces, are lightweight and are considered very attractive due to their color and shine. Copper Spinning – Acme Metal Spinning Inc.
Because copper products are aesthetically desirable, the lighting, ornamental and decorative product industries often use copper spinning to manufacture products like lamps, outdoor and indoor fountains, lanterns and chandeliers. 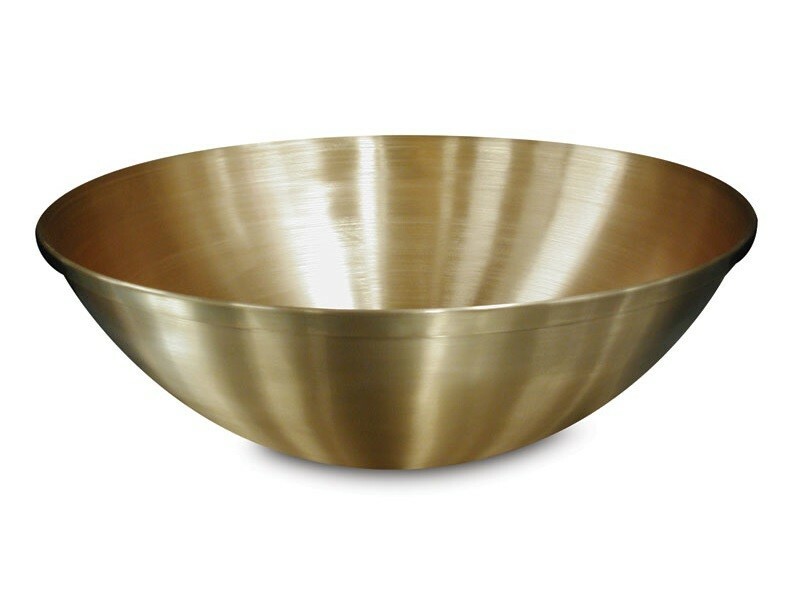 Copper cookware like measuring cups, colanders, pots, pans and bowls can be made via the metal spinning process because of copper’s heat resistance, long lifespan and durability. Copper spinning manufactures other products including marine couplers and reducers, roofing components and musical instruments. When it comes to decorative and ornamental metal spinning, copper is often the first choice, and brass is the main alternative. Any copper spun product is 100% recyclable. Metal spun copper shapes can be parabolic, dome-shaped, conic, tubular, bell-shaped flared, cylindrical, hemispherical, ball-shaped or finial. The blanks, or preformed parts, are made by stamping, deep drawing or press forming. Every product is hollow, has a round profile and thin walls. If the blank has a hole in the middle, the finished copper shape will be open on two ends. If not, it will only have an opened top or bottom. Copper products may be shaped by standard metal spinning, which alters the shape but not the thickness of the blank, or flow forming, which does reduce the blank’s thickness. The blank is extruded by rollers onto a mandrel. Its thickness is determined by the angle of the mandrel and the gap between the rollers and mandrel. This process is best for low to medium quantities with short lead times. The forming may be done by a fully automated CNC spinner or by a skilled technician. Metal spinning is a cold working process, meaning it is done at or around room temperature, without heating the copper. Therefore, the copper’s tensile strength and ductility either maintain constant or are improved. 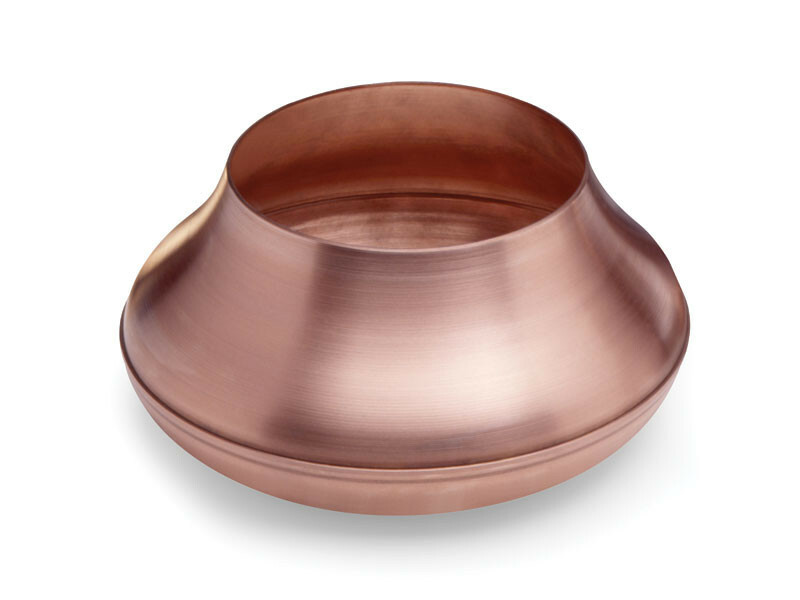 Copper Spinning Copper is electrically conductive, resistant against harsh temperatures, chemicals and moisture and fares well in both indoor and outdoor applications.